Will the Senate give Hillary confirmation trouble? Hillary Clinton, ever the preparation junkie, is cramming for Tuesday’s confirmation hearing — intent on downplaying old disagreements with Barack Obama and parrying questions about her husband’s overseas entanglements, aides say. Barring a bombshell revelation, all sides expect Clinton to be speedily confirmed as secretary of state. But her rendezvous with the Foreign Relations Committee at 9:30 a.m. Tuesday still offers its share of potential land mines. Nobody’s fonder of huddling secretly with a close-knit, tight-lipped clutch of advisers than Hillary Clinton. And she’s been huddling plenty in recent days, gaming out defenses to possible attacks against her husband while synchronizing her policy positions with Obama to avoid embarrassing public disagreements on Iraq, Iran and Israel. “If they hit her on any personal stuff or on the Bill s—t, she’ll hit the ball out of the park,” said a longtime adviser, speaking on condition of anonymity. Clinton’s task is made easier by the fact that Obama quietly adopted many of his former rival’s more hawkish foreign policy positions by the end of the primaries. Her path may also be eased by the fact that Obama’s attorney general-designate, Eric Holder, has become the main lightening rod for GOP opposition in the Senate. “Holder’s attracting most of the attention on the right,” says Steve Clemons, vice president of the progressive New America Foundation. The committee’s staff is so confident Clinton will sail through that it has scheduled only a single day of hearings — although it has taken the precaution of reserving the committee room for Wednesday just in case. That’s a far cry from previous secretary of state confirmations: In 1981, Al Haig had to endure a five-day grilling about his role in Watergate before earning approval. “We expect her confirmation hearing to be congenial, fair and swift,” said Sen. John Kerry’s committee spokesman Frederick Jones. To ensure that nothing goes awry, Clinton has assembled a confirmation commando unit of sorts, featuring her post-campaign inner circle, including Cheryl Mills, Maggie Williams and her trusted Senate chief of staff, Tamera Luzzatto. To that core, she’s added a new collection of Clinton-Obama foreign policy experts to coach her on the issues and the Byzantine bureaucracy at Foggy Bottom. They include Clinton Senate staffer Andrew Shapiro, former ambassadors Joe Huggins and Vickie Huddleston, a pair of incoming deputy secretaries of state — Jim Steinberg and Jack Lew — Clinton campaign policy maven Jake Sullivan, and Wendy Sherman, a highly regarded State Department veteran who helped shape Bill Clinton’s Haiti policy in the 1990s. Moreover, the ever-conscientious Clinton has reached out to all of her living predecessors at State, chatting often with pal Madeline Albright. She’s also contacted every member of the Foreign Relations Committee by phone or in person. One of those sit-downs was with Indiana Sen. Richard Lugar, the committee’s top Republican and a close friend of Vice President-elect Joe Biden. Lugar has told Republicans he’s concerned about the former president’s charities but that he’s convinced Hillary Clinton is up to the job. 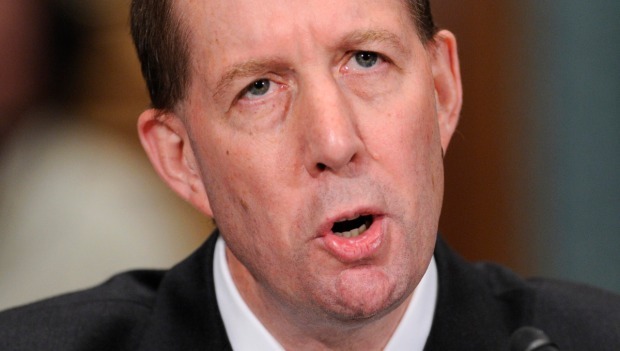 Nonetheless, there are several potential problem children on the GOP side, with noise likely to come from the committee’s most conservative members Jim DeMint (R-S.C), John Barrasso (R-Wyo.) and David Vitter (R-La.). Tennessee Republican Bob Corker is also reportedly a concern to Clinton’s team, not so much over ideology but rather because he’s unpredictable, creative and has a knack for getting press. The editorial board, while expressing general support for her appointment, urged the former first lady to revise a five-page agreement with Obama requiring annual reports on Bill Clinton’s international fundraising efforts on behalf of his charities. “Disclosure of Mr. Clinton’s charitable fundraising and relevant private fees should be done monthly, or at least quarterly, not just once a year,” the paper demanded. The Bill Clinton controversy is likely to attract the most attention, but Clinton’s team is actually more focused on erasing lingering doubts about whether she would be an Obama team player, according to people with knowledge of the situation. Clinton and Obama clashed often on foreign affairs during their epic 17-month primary fight. He hammered her early and often over her Oct. 2002 vote for the Iraq invasion — and she returned fire by labeling him “naïve” after a 2007 debate in which he said he would negotiate with foreign despots with no preconditions. 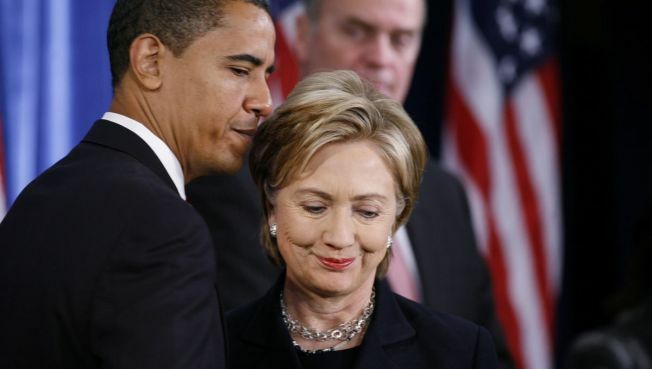 But after Clinton’s defeat, Obama moved closer to Clinton’s mildly more hawkish worldview — and he began speaking out more stridently in support of Israel, ratcheting up his rhetoric against Iran’s leadership and placing pre-conditions on face-to-face talks with America’s enemies. Still, there’s some room for potential problems. One area is Iran: Clinton voted against a 2007 resolution that labeled the country’s Revolutionary Guard a “terrorist” organization; Obama skipped the vote but later said he would have voted no, fearing the resolution could be misused as a pretext for the Bush administration to attack the Tehran regime. And Clinton, a stalwart supporter of Israel in a state that demands such a position, must also be careful not to move too far beyond Obama’s noncommittal public statements about Israel’s controversial and bloody invasion of Gaza. "People should not expect that she will go any further than what [Obama] has said by that point,” said a Senate aide familiar with her confirmation preparations. But Clemons, a longtime observer of Washington’s foreign policy establishment, thinks Obama and Clinton are now in such lock-step on most issues that he might use her testimony this week to signal shifts in policy — even on Israel. “There’s going to be some very subtle shading of language that will be intended to send messages to Israel and others,” said Clemons.